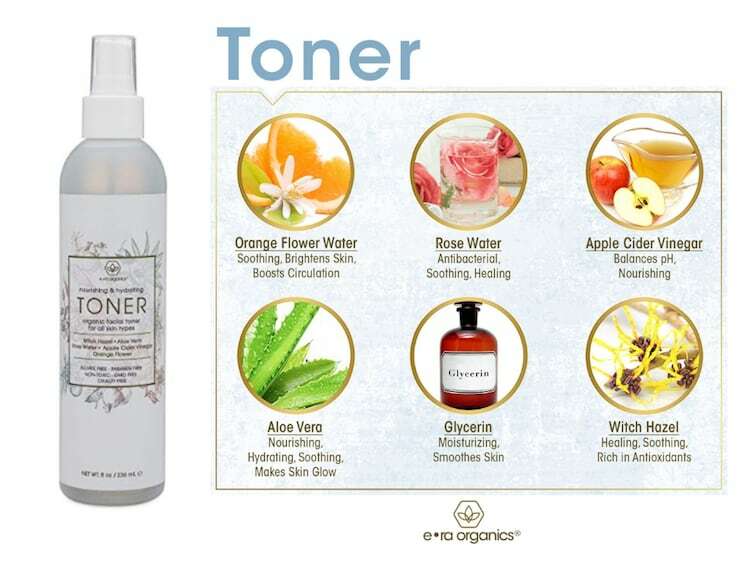 One of the products I have always used is toner--even when I have used nothing else-other then washing my face of course! It really helps your face look it's best. 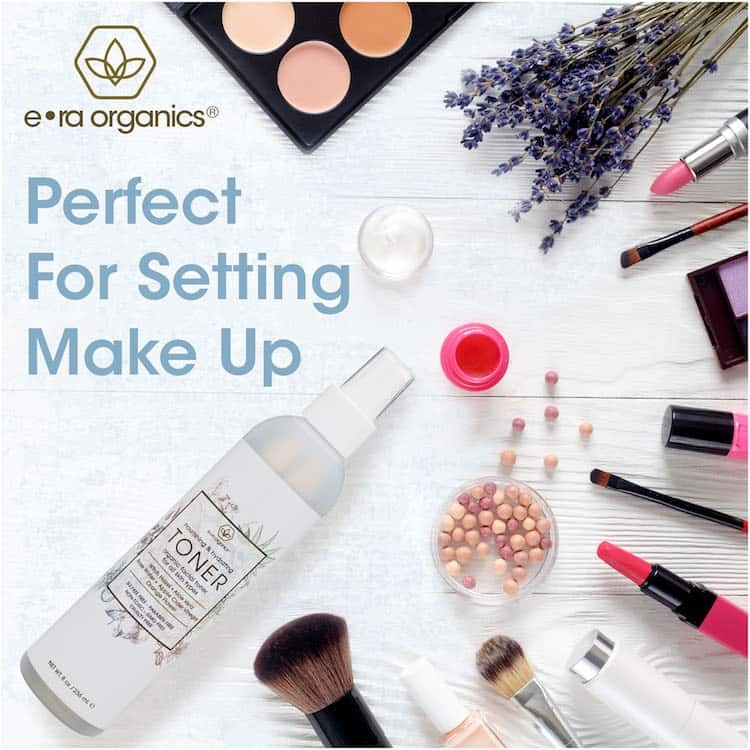 I am really glad that ERA has come out with a tiner--I love that their products are organic, containing no harsh chemicals and more important for me is that they are perfume free. I am allergic to some scents and end up sneezing! 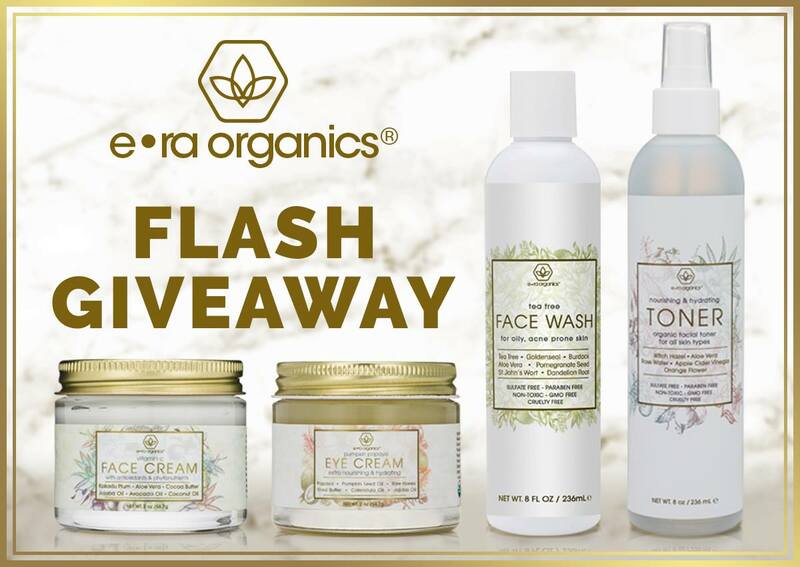 This giveaway not only has the toner but also has everything else you need to keep your facial skin looking and feeling great! 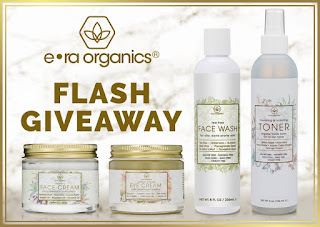 Read the review below then come back and enter! There is also a $6. coupon you can use at Amazon (not my affiliate link) if you don't want to wait! I use Differin as my nighttime routine. I use only water to wash my face, then I put a moisturizer on. I try to use moisturizer at night or my skin gets too dry! I wash my face with Dr. Bronner's soap and apply Rose Hip Oil.